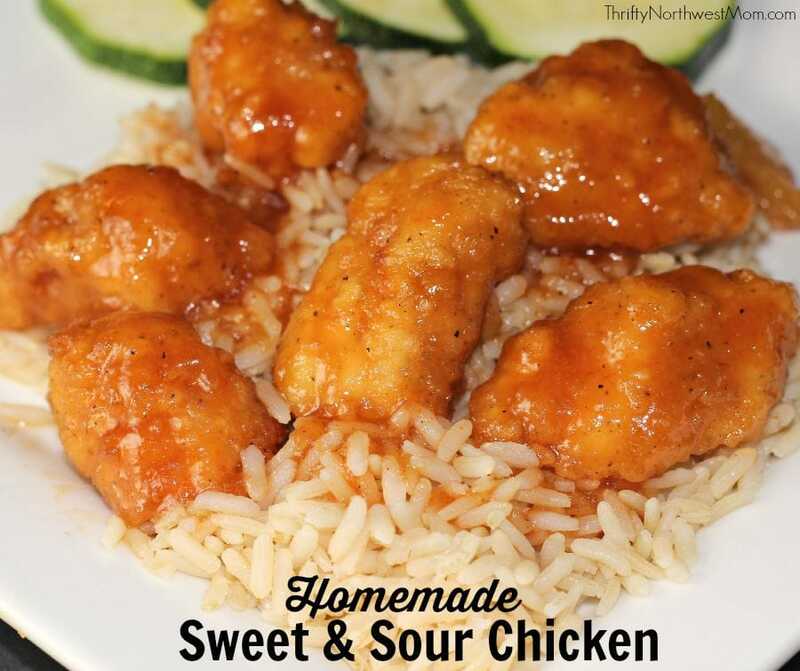 This Homemade Sweet & Sour recipe is a sponsored conversation written by me on behalf of Tyson®. The opinions and text are all mine. 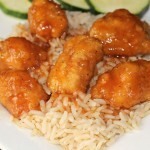 We just love takeout Chinese food in our family & the all-time favorite dish is Sweet & Sour Chicken. 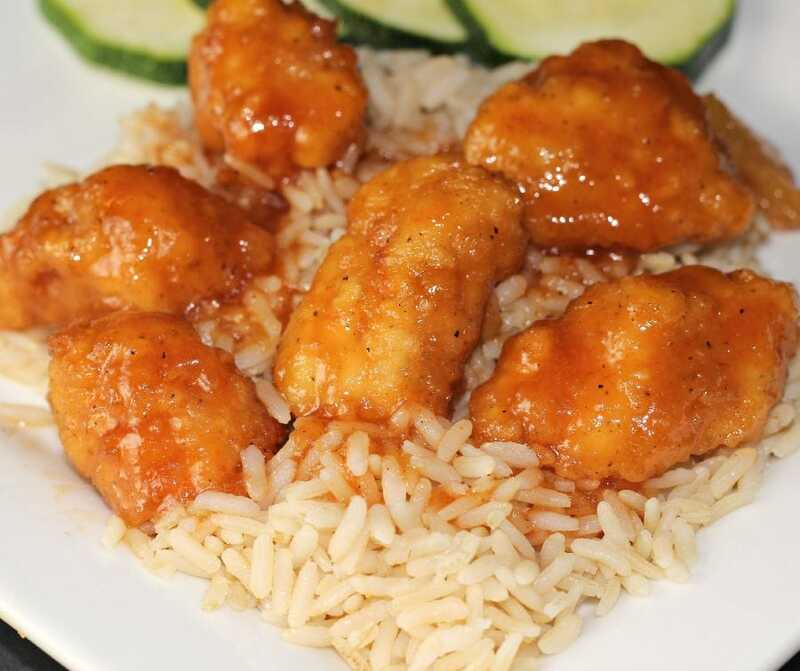 However, as you know, takeout Chinese can get pricey, especially when you add in delivery when you’re short on time, so we were excited when we came up with a recipe that our girls love to have Sweet & Sour Chicken homemade at home. It can be a little time-consuming to make on busy school nights, though, as you first have to fry the chicken and then bake it in the sauce for about an hour to keep it crispy. So, I was excited to try a short-cut using Tyson® Popcorn Chicken- Any’tizers® snacks for our chicken and then combining it with our homemade Sweet & Sour Sauce. We headed to Walmart today to pick up the Tyson® Popcorn Chicken- Any’tizers® snacks and by the time we had gotten home from running other errands, it was late & I needed to fix dinner quickly. This was such a nice way to still have a home-cooked meal but with the added convenience of using the pre-cooked chicken to speed up the whole process. All I needed to do with the chicken was to heat it up in the oven (you can microwave it too if you really need it quickly) and then combine with the sauce that I cooked on the stove top. So, it sped up the whole process of making Sweet & Sour Chicken so I could get dinner on the table in about 20 minutes. 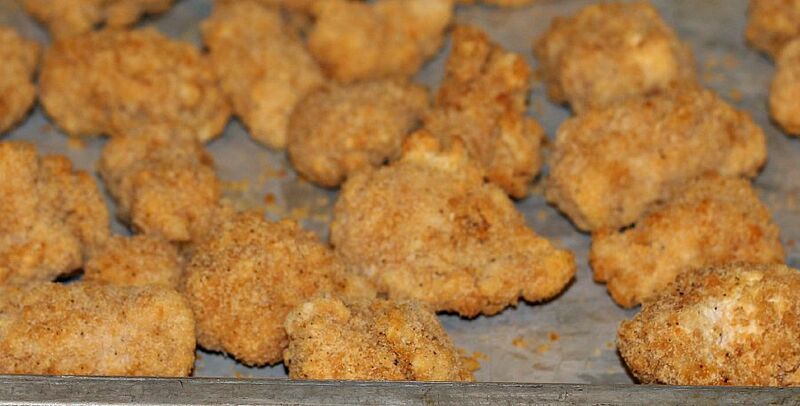 I’ve included the directions for making your own fried chicken in the recipe below, but I definitely encourage you to think about buying Tyson® Popcorn Chicken- Any’tizers® snacks as that will definitely speed up the process for getting dinner on the table quickly for this yummy Sweet & Sour Chicken meal. You can also take out the pineapple if your family prefers not to have pineapple in the dish; however, I think that gives it a little extra sweetness, so you may want to adjust the Apple Cider Vinegar (lower it a little more) if you take it out or add a little more sugar. This recipe will really rely on what your taste is as to whether you like it more sour or sweet & you can adjust the Apple Cider Vinegar & sugar accordingly once you’ve tried it out. Preheat oven to 325 degrees F. Coat a 9×13 baking dish with non-stick spray. Add sugar, vinegar, ketchup, soy sauce, and garlic powder in a large bowl and mix together with a whisk. Heat this up to boiling & then turn the temperature to medium. Add pineapple slices and simmer on the stove for 10 minute, stirring frequently. Add chicken to sauce simmering on the stove and stir it all together. After trying out our homemade Sweet & Sour Chicken using the Tyson® Popcorn Chicken Any’tizers® Snacks, the whole family agreed that it was very tasty & tasted just like our version using chicken we fried ourselves. The chicken was very moist & tender and held the Sweet & Sour sauce & flavor very well. It is all-white meat, which is packed with protein to give your kids extra fuel on those busy school nights. We will definitely be keeping these on hand for dinner shortcuts during the busy school year as they are so simple & easy to prepare for dinner or even an after-school snack. Not only does Tyson® have great products to help you during those busy school nights, but you can also help support your school by buying select Tyson® products with the Walmart Tyson® Project A+™ program. 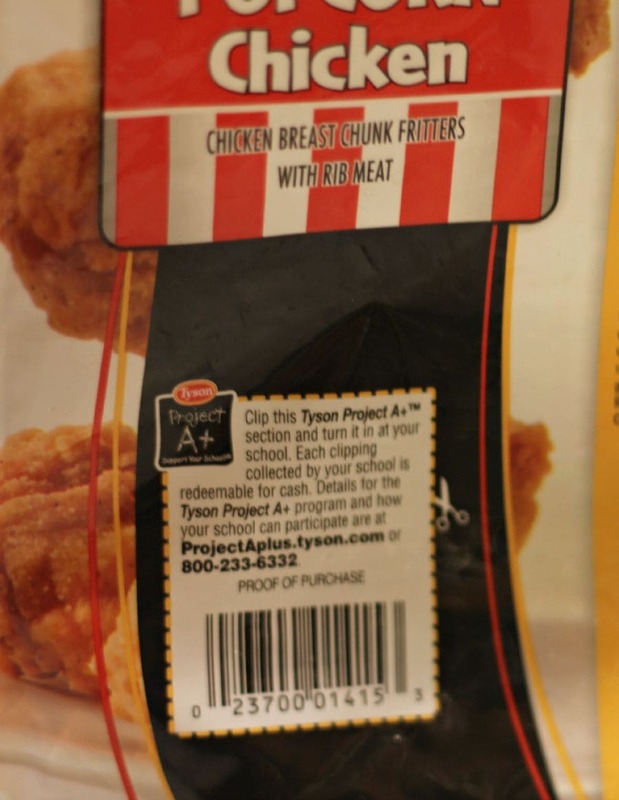 You can collect Tyson Project A+ ™ labels from participating packages (look on the back to make sure it has the label) and clip the label off when you’re done with the product. For every label submitted, Tyson® will give your school cash to use the money however they need. This is definitely information to share with your parent-teacher group at your school or directly with the school, so they can encourage parents to buy Tyson® products & bring in those labels to support the school. You can find out more about the program at Walmart.com/TysonProjectAPlus.